Don't lose access to your Google brand account! 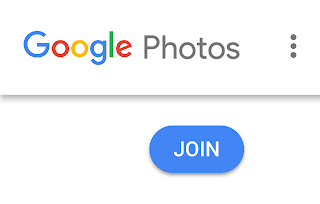 Losing access to a Brand identity on Google is careless and unnecessary. It could be damaging for the brand and makes you look stupid. Why does it happen and what steps can help prevent a loss of access? Brand accounts are not the same as standard Google accounts. They may look the same externally, but they are different. Brand accounts are designed to be multi-user managed, standard accounts are not. Standard accounts have passwords, Brand accounts do not*. A few ways to create a brand account. Brand accounts are managed by one (or more) users via standard accounts. Get familiar with Brand Accounts. Do not set up a standard Google account for a Brand. Why people lose access to a Brand account. People move on, the person setting up the Brand Account the "Administrator" may move on. It is common industry practice to set up a new Google account to be the "owner" of the Brand Account. My very strong recommendation is DO NOT DO THAT. It's the most common reason for loss of access, but it is also terrible for security, we'll get to that later. "An employee should not own a business asset." The word "own" is hard to swallow for business people. Think Administrator instead. The most, appropriate, fully authorised and hopefully capable person should create the Brand account. They are the Brand owner administrator. There are thousands of "Admin Accounts" out there lots even called "Admin Account". These are referred to in the industry as grey accounts. 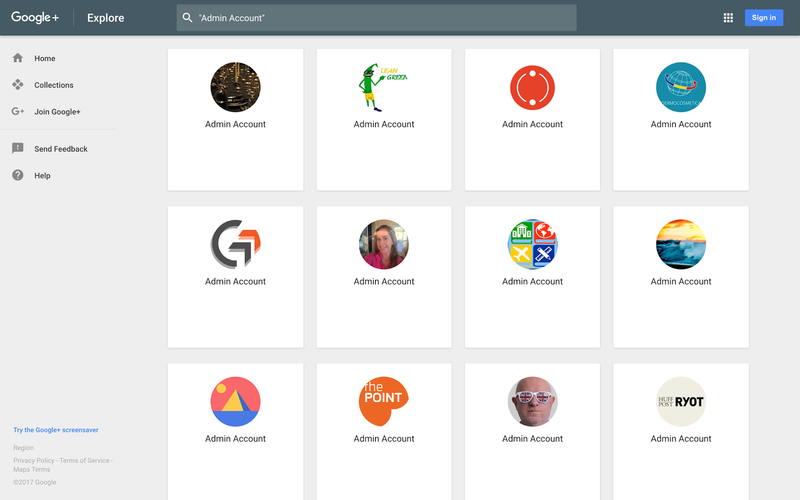 Shared login accounts: which is a really bad idea. "How do I give people in the team the login details if I don't create an admin account?" Brand accounts are designed to be multi-user managed. They do not have login details. As the administrator you can give other members of your team access to help manage the Brand account via their account. "I do not want to use my personal account to manage the Brand!" You are not using your account to manage the Brand. Your account has access to the brand account. When operating as the brand you are using the Brand Account not your account. "I'd rather set up a standard account for work to access the brand account." Bad idea. Trust me, that is endangering the brand and it's a hassle you do not need. Do not ask or instruct team members to set up new accounts for you to give them access. That is endangering the brand. Security is about lowering risk. So let's assess risk. Barry goes to Google and signs up for a Google account for the Brand. Barry is not technically capable to be your social media person. That's not Barry's fault, it's the fault of whoever asked, intrusted, or allowed Barry to perform a task that is clearly beyond him. Barry sets up an "Admin account" for Brand X called "Brand X Admin". Under the new account (Brand X Admin) Barry creates a Brand account called "Brand X". Barry gives the login details to trusted members of his team so they can manage "Brand X" via the "Brand X Admin" account. Can you see where the problems are with what Barry did? Everyone is "Brand X Admin". Means no one is responsible. Everyone has the same rights because they all share the Admin identity. No one controls access. Everyone has zero personal investment in the administrative account. If someone else needs access they are given the only set of keys to the castle. This is really the worst case scenario. Whose job is it? It's Barry's job, not everyone's job. Barry tells no one the login details for "Brand X Admin" he manages social alone. He works diligently for Brand X mostly on Facebook and Twitter. Then moves on to Brand Y.
Barry forgot the handover. It wasn't intentional, he didn't do much with Google+ anyway. 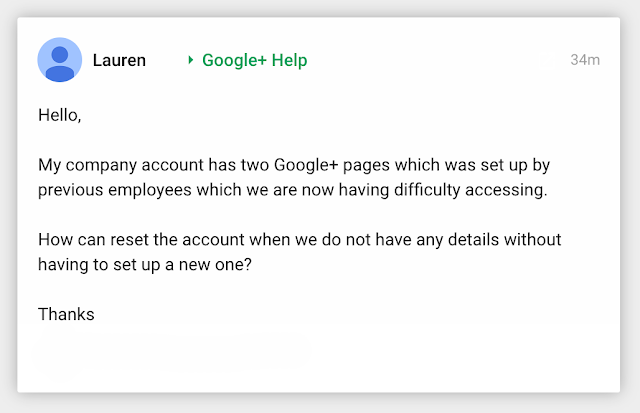 Brand X finds their Google+ page after Barry has moved on and can't access "Admin Account". They might contact Barry but he has now "forgotten" or lost the login details and works for Brand Y. A lot of people come to the Google+ Help Community after this kind of situation. It's stressful and should have been avoided. Barry is the person responsible for digital and social at Brand X.
Barry sets up a Brand account for Brand X called "Brand X" he uses his Google account. His Google account is very precious to him personally. He runs 2-Step verification on his account. Barry will not give anyone access to his Google account. Barry manages "Brand X", sets up Collections and Brand X rocks Google+ and YouTube. 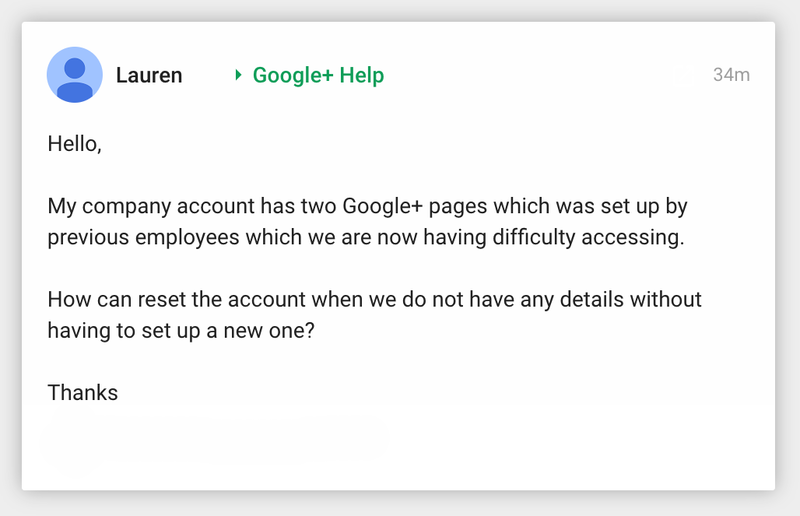 If Barry needs help he gives appropriate members of his team access through their Google accounts and encourages them to use 2-Step verification. Before Barry moves on to "Brand Y" he hands-over ownership Administration of the Brand account "Brand X" to the appropriate person at Brand X. There have never been login details for Brand X. No password to remember or forget. If Barry, in his excitement at moving to Brand Y, forgets the handover then Brand X can prompt Barry to hand over administration, complete his responsibility and remove himself. Barry did a good job at Brand X he was responsible and works with similar diligence at Brand Y. Who's managing your brand? Clever Barry or Dumb Barry? *A few legacy examples exist were a Brand account may have direct login.